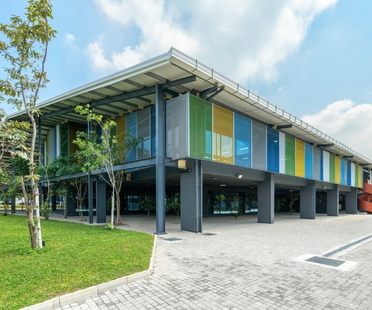 US-based Jordan Parnass Digital Architecture (JPDA) has completed the first Certified Passive House project in South Asia, proving that ultra-high-performance efficiency standards are achievable for buildings in any climate. Work has started for building the first project implemented in Tirana by the firm Stefano Boeri Architetti, the Blloku Cube, a multi-purpose building included in the master plan of the Albanian capital designed by the same firm. 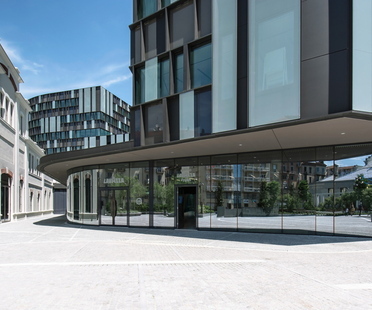 Architect Cino Zucchi has designed Nuvola Lavazza as the new headquarters of the famous coffee company by redeveloping the disused area of the former power station in Turin's Aurora district. A project that brings together traditional building materials like clay with Bangladeshi fabrics and an Austrian enterprise.